The Labour Party has been warned that BNP activists may have infiltrated the party to influence the leadership contest. BNP members generally have a background in the Labour Party and after a flirtation with the dirtier side of politics, usually go back to them. 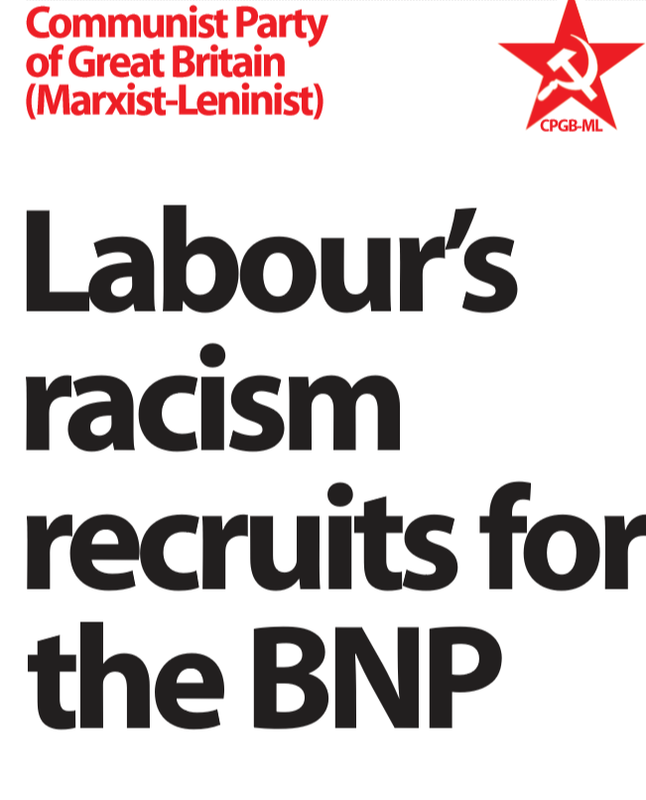 There have even been a few BNP activists who have gone on to contest elections for Labour - something that would have all 40k+ UKIP members branded as racists. Whilst there are no doubt a number of BNP activists joining the Labour Party to vote in the leadership election, it's nothing really out of the ordinary. Where UKIP has traditionally plundered the Conservatives for members, the BNP have traditionally attracted Labour supporters who have become disillusioned with the pro-EU, pro-mass immigration policies that the Labour Party used to oppose until the 80s. Labour Party members need to get used to rubbing shoulders with BNP types because under Comrade Corbin, unless they bring in a ban like UKIP have, they're going to come flocking back.